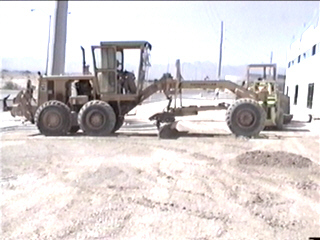 Nevada Contractor"s #51585 Classification "A"
We do asphalt paving and grading for parking lots and roadways, building pads for commercial and residential, demolition, dirt and trash hauling,clean up of lots and yards and anything else you can think of that involves heavy equipment. Weaver Construction has worked as a general contractor and as a sub-contractor. We have been in business in the Las Vegas area since 1963. We are family operated, and that means we will give you the best quality work available. We own all of our equipment, which helps us keep our cost to you down. We have loaders, motor graders, backhoes, trackhoes, rollers, semi trucks, and much more. Weaver Construction also does rentals, and all of our equipment comes with an operator when you rent it. If you have any questions or need a estimate feel free to call or Email us. Check out my links below for more details!